Exceptional quality, unsurpassed craftsmanship, customer service, design, delivery and installation -- all of this at a more than reasonable price. 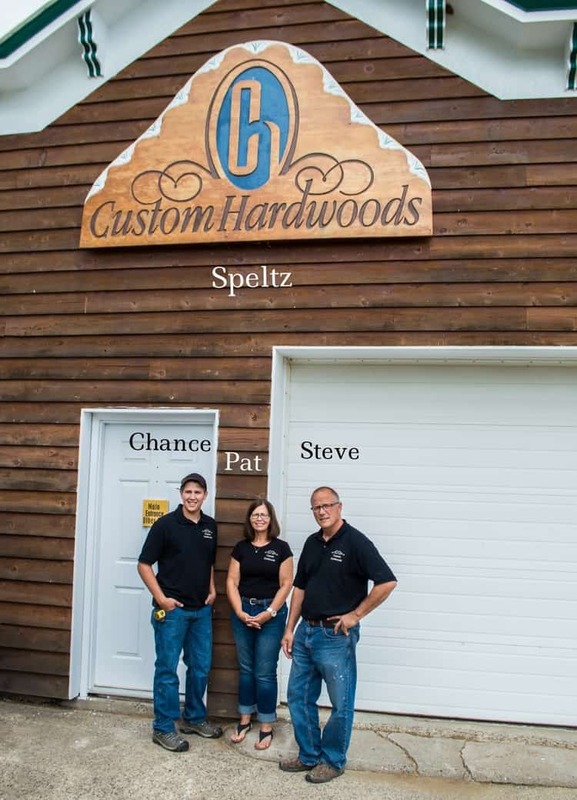 Custom Hardwoods is a family owned cabinet and furniture company based in Rollingstone, MN. It has been in business since 1984. Steve Speltz is the Master Craftsman. His expertise in design and cabinet construction leads in the industry. Two additional members, Pat and Chance, complete the Custom Hardwoods team — engaging in daily business operations from customer service to construction. It is indeed a “family business”. Custom kitchen cabinets are by far the specialty with our signature line – the inset style – attracting many customers. Customers begin their journey with a visit to our newly constructed showroom, they pick out a wood type — anything from painted maple to quarter-sawn white oak — the options are many. From there, their “dream kitchen” becomes reality — usually starting with a pencil and a piece of paper. From design to delivery and installation, Custom Hardwoods is at your service. Our customers can expect nothing less than quality materials and construction, attention to detail, and an end result that exceeds their expectations. We use veneer core plywoods, hardwood door panels, exceptional hardware, and a catalyzed finish to produce a cabinet that will last them more than 50 years. Furniture repair and restoration is also available, including refinishing, antiques and water damaged items. Steve is a Master Carver (and artist) — winning his Gold Medal from the Vesterheim in Decorah, Iowa in July 2010. His favorite style of carving is the beautiful and detailed ancanthus which highlights leaves, roots, and flowers. He has carved many award winning pieces — to include the Speltz family crest, a religious cuba stool, chairs, corner cabinets, picture and mirror frames, wall clocks, and his latest addition the cuckoo clock. The bitterness of poor quality, service, and support remains long after the sweetness of a low price is forgotten.